This is the first installment in a seven-part series on being disciplined. We all would like to be able to think a little clearer, feel a little better and enjoy the things we need to do in life a little more. No matter where you are when it comes to being disciplined, these thoughts can help you better achieve your goals and continue along your path of being disciplined. What lies have you told yourself today? Stop for a few minutes and think about it—in what ways today have you told yourself things that aren’t true? Maybe this is a difficult exercise. The ways in which we lie to ourselves aren’t usually immediately apparent. In fact, you’ve probably gotten so good at lying that you are seeing these lies as truth. This is the basis for “Misbelief Therapy” championed in the book Telling Yourself the Truth by William Backus and Marie Chapian. This form of therapy helps you identify the lies you tell yourself and to replace them with the truth. It’s an incredibly helpful book and I’ve gone through it four times in the last eight years. Misbelief Therapy applies to all aspects of your life and particularly to your self worth as a person. If you struggle with this, I encourage you to get professional help! I’ve met with a few different psychologists and therapists over the course of my life and they’ve been so good at helping me get on the path to better thinking and better living. Here we are going to look at how this therapy applies to being disciplined. Many other topics are addressed in Backus and Chapian’s book, and you can read at length there if you’re interested. These statements aren’t true. They can’t be. For most of them, you’ve already proved them lies again and again. Yet you keep telling them to yourself and worse, continue to believe them. The first thing you need to do on the path to discipline is to defeat deception. Try this for the next week: Listen for your self talk. Each time you catch yourself using one of these absolute terms, write the entire comment down. Don’t worry about correcting it yet. Before you start arguing against the lies, you need to know what you’re up against. Have you gotten out of bed before? How many times have you successfully gotten out of bed in your life? Are you going to get out of bed in the future? After all, you’ll eventually need to go to the bathroom. It’s simply not true that can’t get out of bed. What are you telling yourself about what you’re trying to avoid? Is skipping work “the worst?” Is it really the worst thing you can imagine happening to a person in his or her lifetime? Is your boss really going to kill you? Do you think he’s waiting at the office, standing in front of his collection of torture devices, trying to decide between the two-handed sword or the piano wire? And maybe he will really be angry. Maybe he’ll yell and swear. Maybe he’ll fire you. But he’s not going to kill you. I can’t go out. 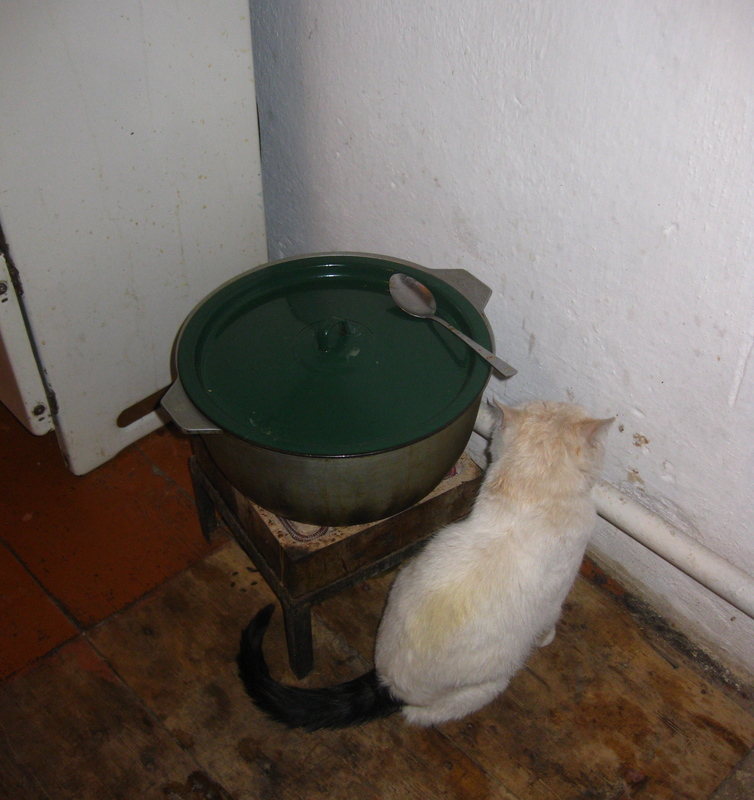 I’m just going to stay indoors, next to this warm pot of food all day. Yeah, it’s going to sting a bit, listening to your boss’ angry words. But it’s only unpleasant. It’s not unbearable. You’ve had people yell at you in the past and you’ve survived. You’re still alive, reading this, so it must be true. When we’re lacking in discipline, we’re often blowing things way out of proportion in our use of absolutes. The truth is, there are very few things in life that are absolute, and there are very few consequences in life that are the absolute worst. The vast majority of your decisions and actions do not fall into this category. The things you think might kill you in reality will probably only sting. Sure, it’ll hurt a little. Getting a D on that paper is not going to be pleasant. But it’s not the worst thing ever and you will survive and have chances to write papers again. Now you have a list of the lies you’ve been telling yourself. This is a big step in shedding the weight of all the untruths that have been pressing down on your and wrecking havoc in your life. When you believe a lie instead of the truth, you learn to act and behave as if that lie were true. If you tell yourself you’re no good at cleaning the bathroom and that it’s icky and gross and you’re going to contract an unknown-to-medical-science disease, it’s going to be pretty easy to avoid cleaning the bathroom. Instead, recognize this as a lie and replace it with the truth. After you’ve practiced writing out truth statements for each of the lies you collected throughout the week, try combining these steps. Over the next week, each time you hear yourself lying about a situation, recognize it, identify the lie, and then replace it by telling yourself the truth. This is not an easy thing to all of a sudden start to do. You need time through lots of truth telling to work out of the habit of telling yourself all the lies you’ve been listening to for so long. But with small steps, you’re on the path to thinking truthfully about your life and the areas where you want to have more discipline.